We examined the challenges we are facing , and reassured ourselves on the important contributions we make for the society and the environment. Many of the principles of the Koblenz Declaration we wrote in 2015 are still valid. The organizations gathered in Oloron committed to strengthening our network as a valid instrument of cooperation amongst the diversity of pastoralist cultures. – To redefine ESN objectives and vision and the strategy for their achievement, gathering different pastoralist leaders views. – To reinforce internal and external communication, and to gather resources for the continuity of the coordination tasks, now within a recently constituted international technical working group. – To structure the network via the definition of country coordination and representations. 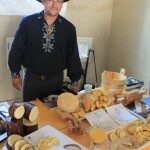 Pendant 4 jours, des pasteurs de 12 pays de toute l’Europe se sont réunis au cœur des Pyrénées françaises pour célébrer notre 4ème Assemblée de l’ESN, organisée par CORAM (Le Collectif des Courses locales de Massif) et avec le soutien de la FAO. Bon nombre des principes de la déclaration de Coblence que nous avons rédigés en 2015 sont toujours valables. 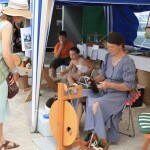 Les organisations réunies à Oloron se sont engagées à renforcer notre réseau en tant qu’instrument de coopération valable parmi la diversité des cultures pastorales. 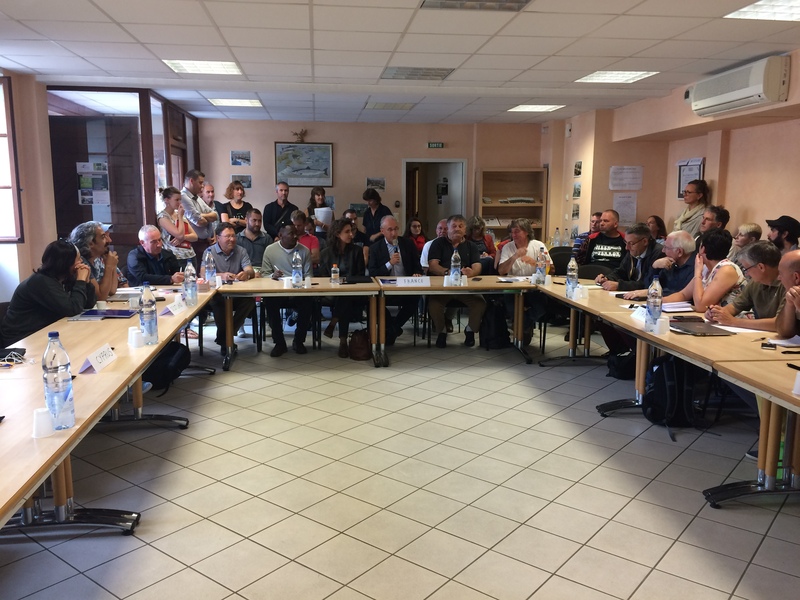 – Redéfinir les objectifs et la vision de l’ESN et la stratégie pour leur réalisation, en rassemblant les points de vue de différents leaders pastoraux. – Renforcer la communication interne et externe et rassembler des ressources pour la continuité des tâches de coordination, désormais au sein d’un groupe de travail technique international récemment constitué. – Structurer le réseau via la définition de la coordination et des représentations par pays. Durante 4 días, pastores de 12 países de toda Europa se reunieron en el corazón de los Pirineos franceses para celebrar nuestra 4ª Asamblea de ESN, organizada por CORAM (Collectif des Races Locales de Massif) y con el apoyo de la FAO. Hemos examinado los desafíos que enfrentamos y estamos seguros de las importantes contribuciones que hacemos a la sociedad y el medio ambiente. Muchos de los principios de la Declaración de Coblenza que redactamos en 2015 siguen siendo válidos. 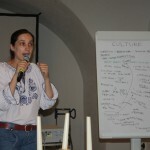 Las organizaciones en Oloron se comprometen a fortalecer nuestra red como un valioso instrumento de cooperación entre la diversidad de culturas pastorales. – Redefinir los objetivos y la visión del ESN y la estrategia para su realización, reuniendo los puntos de vista de los diferentes líderes pastorales. – Fortalecer la comunicación interna y externa y agrupar los recursos para la continuidad de las tareas de coordinación, ahora dentro de un grupo de trabajo técnico internacional recién formado. – Estructurar la red a través de la definición de coordinación y representaciones de países. Vier Tage lang versammelten sich Pastoren aus 12 Ländern aus ganz Europa im Herzen der französischen Pyrenäen, um unsere 4. 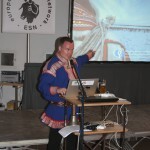 ESN-Versammlung zu feiern, die von CORAM (Collectif des Races Locales de Massif) und mit Unterstützung der FAO organisiert wurde. Wir haben die Herausforderungen, vor denen wir stehen, geprüft und sind überzeugt, dass wir einen wichtigen Beitrag für die Gesellschaft und die Umwelt leisten. Viele der Prinzipien der Koblenzer Erklärung, die wir 2015 formuliert haben, sind weiterhin gültig. Die Organisationen in Oloron sind entschlossen, unser Netzwerk als ein wertvolles Instrument der Zusammenarbeit in der Vielfalt der pastoralen Kulturen zu stärken. 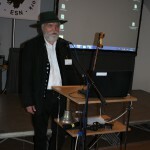 – Definieren Sie die Ziele und die Vision des ESN und die Strategie für ihre Umsetzung neu, indem Sie die Standpunkte verschiedener pastoraler Leiter zusammenführen. – Stärkung der internen und externen Kommunikation und Bündelung von Ressourcen für die Kontinuität der Koordinierungsaufgaben, jetzt in einer neu gebildeten internationalen technischen Arbeitsgruppe. – Strukturieren Sie das Netzwerk durch die Definition von Koordination und Ländervertretungen. 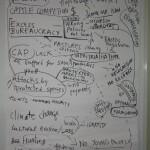 ESN agrees in general with the statement, however we feel that more than making as general statement ‘ to encourage lower levels of animal product consumption”, that could make the assumption that livestock production is necessarily bad for human health and the environment, we should distinguish the the role of extensive livestock systems. Mobile pastoralism, and the types of animal rearing which our members are involved with not only provide healthy nutrition for people but are also beneficial to the environment. We, the undersigned organisations, believe that the European food and farming system is broken: that it is working for the interests of a few to the detriment of the majority of people, farmers, and the planet. Europe’s food and farming system directly contributes to a wasteful use of finite global resources and damages the environment by contributing to climate change, biodiversity loss, depletion of fisheries, deforestation, soil erosion, water scarcity, as well as water and air pollution. Factory-style farming – largely dependent on imports and a major contributor to antimicrobial resistance – has been promoted at the expense of viable incomes for farmers and jobs in rural areas in Europe, as well as human rights, decent work, and livelihoods in developing countries. Farmers are facing a flawed choice between bankruptcy and further intensification. Farmers practising credible alternatives like organic and agro-ecological agriculture remain on the fringes in favour of business as usual. At the same time, high levels of undernourishment, the rapid rise in obesity and unhealthy diets are among the main causes of death and disease both in Europe and worldwide. Fair and diverse food and farming economies: ensure a fair income and decent work conditions for farmers and farm workers; facilitate access to farmland for sustainable peasant farming; encourage short supply chains and sustainable public procurement policies; grant fair access to high quality products for all consumers; prevent negative impacts on people’s right to food and on the livelihoods of smallholder farmers in the global south. 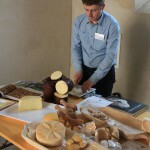 Healthy environment and a food and farming system that respects animal welfare: ensure the end of harmful subsidies; reward and incentivise the delivery of positive environmental and social outcomes; restore and prevent further loss of biodiversity; encourage conservation and active use of genetic diversity; ensure agricultural production is free from synthetic chemical pesticides and mineral fertilisers that harm the environment; prevent and minimise food waste throughout the food chain; halt food and feed imports linked to deforestation; ensure that animal health and welfare are effectively respected; replace the current industrial livestock system with extensive alternatives where animals are not treated as mere commodities and the balance between livestock and land capacity is ensured, while the overuse of antibiotics prevented; radically reduce emissions from farming and ensure a transition towards a resilient food and farming system. Support for citizens’ health and well-being: ensure our food and farming system fosters healthy, nutritious, seasonal, local, culturally appropriate and affordable diets; encourage lower levels of animal product consumption; raise citizens’ awareness of the impacts of consumption on their own health, on farmers, animals and the environment; prevent negative impacts of agricultural methods on the health of farmers, farm workers and rural populations. A publicly accountable food system with participatory governance, citizens’ empowerment and democracy: involve citizens in transparent decision making processes; prevent corporate capture of decision making; empower local communities to lead the transformation. We are committed to achieving a real transition by working in partnership with farmers, citizens and policy-makers. Therefore, we urge the European institutions and national policymakers to rethink the role and direction of European agriculture policies and use the principles presented above as a basis for the post-2020 Common Agricultural Policy reform process. ESN is member of the Coordination Committee that is organising next Nyeleni Europe Conference. From the 26th to 30th of October, hundreds of people from the entire Europe and Central Asia will meet in Cluj-Napoca, Romania, for the second Forum of the Nyéléni European Movement for Food Sovereignty!For 5 days, farmers, fishers, pastoralists, indigenous people, consumers, trade unions, environmental/justice/solidarity/human rights organizations, community-based food movements, journalists, researchers from more than 42 countries will bring existing food sovereignty initiatives together, sharing and connecting experiences and planning a pan-European strategy and plan for future food and agriculture. Celebrating the European Week of Mountain Local Breeds, and hosted by CORAM and Aubrac and Salers Livestock Breeders Unions from Central France the 16- 25 September in St. Floir, ESN members, grassroots pastoralist organisations from different countries, will take part in a public seminar the 21 – 22 September, around the question of the autonomy of livestock systems, and the importance of local breeds on it, as well as the impact of Common Agricultural Policy on mobile pastoralist systems across Europe. The 22nd we expect to have a meeting with the French Ministry of Agriculture to explain our conclusions. The 23rd, ESN will also hold its 5th meeting and assembly to discuss the action plan for the future. We will be organising ESN travels and calling for support to donor organizations. 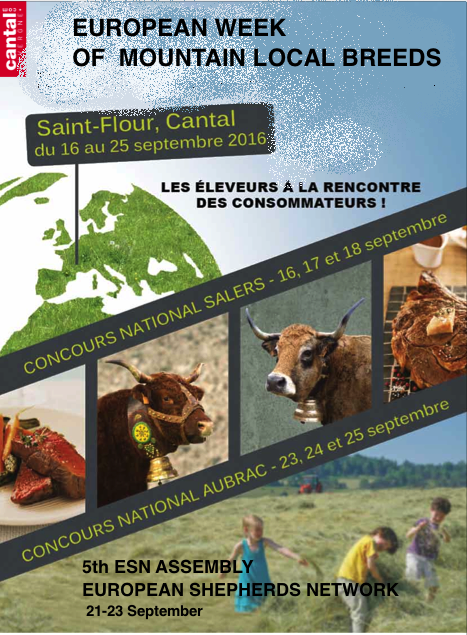 See you in Saint-Floir ! The European Forum on Nature Conservation and Pastoralism (EFNCP) will host its annual Conference in Corofin (County Clare, Ireland) on 22-24 October 2015. 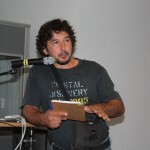 The speakers will be farmers and specialists coming from diverse High Nature Value landscapes across Europe. The event will also be a gathering of EFNCP members. Details, programme and booking form: http://efncp.org/events/seminars-others/efncp-conference-ireland2015/. Hace dos semanas, en la Asamblea de pastores europeos organizada por ESN en Coblenza, Alemania, más de 50 pastores de 17 países firmaron una declaración común titulada “Declaración de Coblenza-Ehrenbreitstein “. Nuestros miembros están circulando activamente esta declaración dentro de su región y de sus redes. Por favor ayudanos a apoyar las demandas de los ganaderos europeos descargarando y compartiendo la declaración! 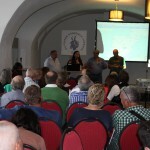 From 26 to 28 June, more than 50 shepherds from 17 European countries have met at the European Pastoralists Assembly organized by ESN in Koblenz, Germany to share the problems they are facing, discuss solutions and agree on further actions to be developed by European Shepherds Network. The successful meeting resulted in a common declaration signed by participating delegations. We will be posting the statement and further materials about the outcomes of this important event very soon. In the meanwhile, here are a few pictures of united pastoralists. 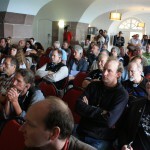 This Assembly will take place in Koblenz (Germany) from 26-28 of June. We are inviting 2 pastoralist representatives from each country in Europe. If you want to nominate or apply to participate, please write to pastoralism_secretariat@campoadentro.es before the 17th of June. The only continental wide organization representing pastoralist grassroot groups and regional chapter of the World Alliance of Mobile and Indigenous Pastoralists (WAMIP) European Shepherd Network (ESN) is moving forward in its mission of bringing together pastoralist and making their voice be heard. The agenda is available here: ESN-meeting-2015.05.25-EN. ESN has succeeded in securing funding for at least two years from the Food and Agriculture Organization of the United Nations (FAO) that will enable it to strengthen the regional dialogue between shepherd organizations, implement actions at the European level, and become a strong entity with an operative secretariat during at least 2015 and 2016 to serve the purposes of its members. The agreement with FAO also includes a regional identification process expected to result in a census of pastoral organizations in the EU countries. Organisations of cattle breeders and shepherds from all over Europe will protest in this manner against the mandatory introduction of an electronic chip on each animal. 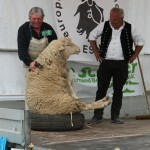 On 7 March more than 500 shepherds will meet to hear the verdict of the European Court in Strasbourg. 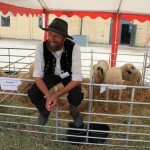 Several organisations of small cattle breeders from different European countries (France, United Kingdom, Hungary, Netherlands, Luxembourg, Spain, etc.) working in extensive farming, in filing a claim against Individual Electronic Identification (EID) that the German Sheep Breeders Association filed in 2012 before the Court of Stuttgart that is currently pending a decision by the European Court of Justice. On 7 March, representatives of shepherds from all over Europe will meet in Strasbourg after they were summoned by the European Court based in this city. The claim was filed because of the flaws in the system at the time in which it is to be implemented, particularly in its pin form. These deficiencies have been reported in all Member States where the system has been implemented, as well as the injury it results in for the tagged animal. In addition to its inefficiency, this system involves several bureaucratic phases and costs for farmers that we deem excessive at all levels, and are the same whether or not a disease has broken out. 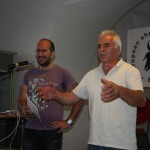 On June 23, members from ESN – European Shepherd Network – from seven European countries and a local shepherd held a public meeting in the Ständehaus as part of the dOCUMENTA (13) conference program in Kassel, Germany. 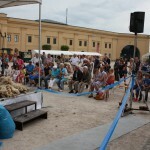 The assembly gathered sheep herders and farmers who discussed the creation of European Shepherd Network, an organization to give this community a voice and make it visible. They also commented on current campaigns by shepherds and their relation to public opinion and to their animals. 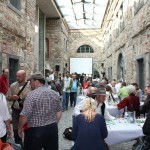 The event included the screening of a documentary recounting the journey of German shepherds from Berlin and Brussels to Trier. 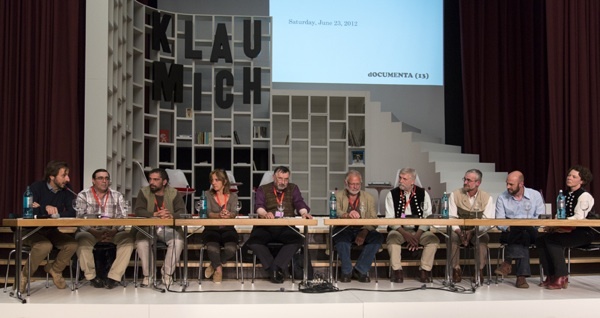 documenta is the world’s largest contemporary art exhibition, running in Kassel every 5 years. 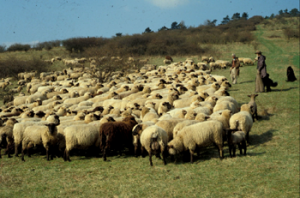 Shepherds are vital – we need them! Permanent grassland is rich in plant and animal species. It is the best way to manage and protect land. – It is the most effective way to protect the soil from wind and water erosion. - It filters out pollutants and delivers clean drinking water. - It absorbs carbon dioxide better than any other land use. - It offers a habitat for countless endangered plants and animals. But species-rich permanent grassland does not come by itself. It is the result of decades of work by experts – the shepherds. Without their dedication and effort, this land would turn into forest or desert. In our work and daily life, we all consume resources. But through their work, shepherds safeguard resources. They improve habitats and the health of soil, water and air. They produce high-quality meat, milk, hides and wool. They create irreplaceable benefits for nature and the environment. That is why shepherds are vital. That is why we need them! The Higher Administrative Court of Koblenz has basically declared the action admissible. This is a necessary prerequisite for a hearing before the European Court of Justice. There are other indications that we have a good chance to make it to Luxembourg. This success before the German court has made Sergio Pavon Gonzalez, Policy Officer, DG SANCO to personally asked to be kept informed. When we come to the European Court, all 27 Member States and the Commission will be asked for their position regarding the complaint. Some states will not respond. Therefore, we ask for reports from as many organizations throughout Europe as possible highlighting all the problems with the system. La Red de Pastores Europeos (ESN) reúne a ganaderos extensivos y organizaciones de pastores en Europa que comparten objetivos comunes como el apoyo a la ganadería extensiva y la construcción de un movimiento social cohesivo.